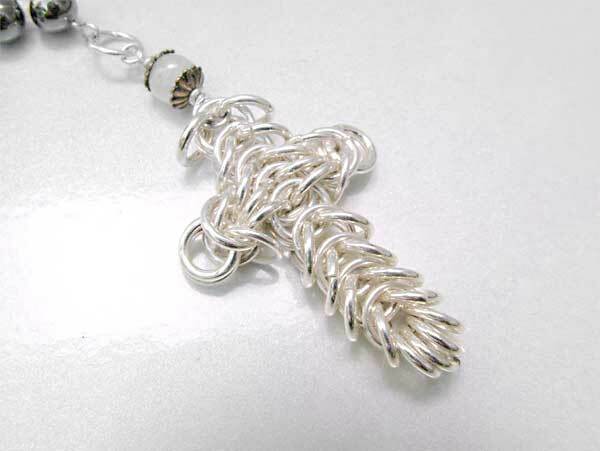 A handmade rosary made for someone special. His birthday is coming up. But I ain't naming names. I will have to suz it out first to see if he likes this. A birthday gift for someone Special. Hematite ideal for prayer, meditation, healing. He had previously expressed a liking for Hematite gemstone rosaries. And a wise choice as it turned out to be. Hematite is a gemstone that is ideal for prayer, forgiveness, meditation, and healing. 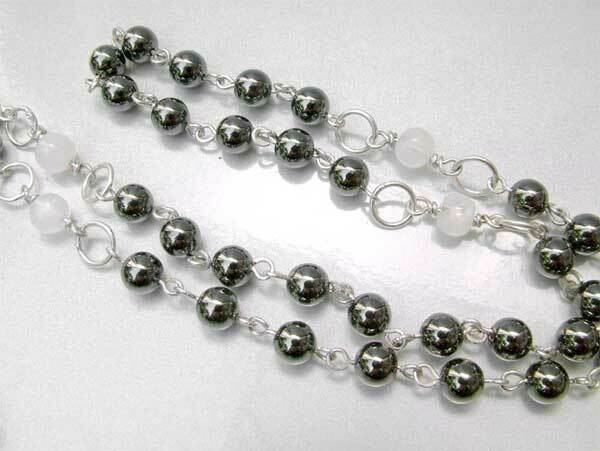 I have used round polished hematite beads (6mm) - they feel marvelous! 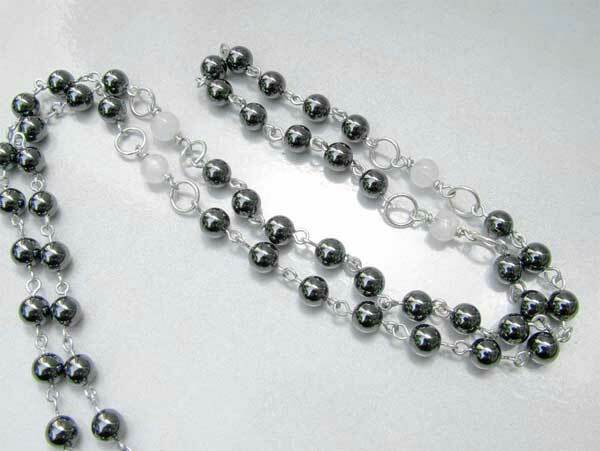 Note to self: get more of those 6mm Hematite beads! Lately I have been trying to experiment with making my own customized rosary crosses. It turned out to be quite an amazing cross really. It retains it shape but is also very flexible. Definitely ideal for a kinesthetic person - or a fiddler! And I used a washer for the center. I like it! 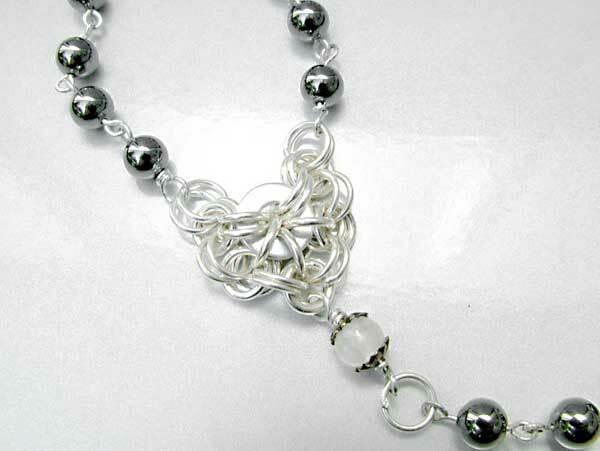 I have made the link loops between the hematite beads as simple (open) loops. 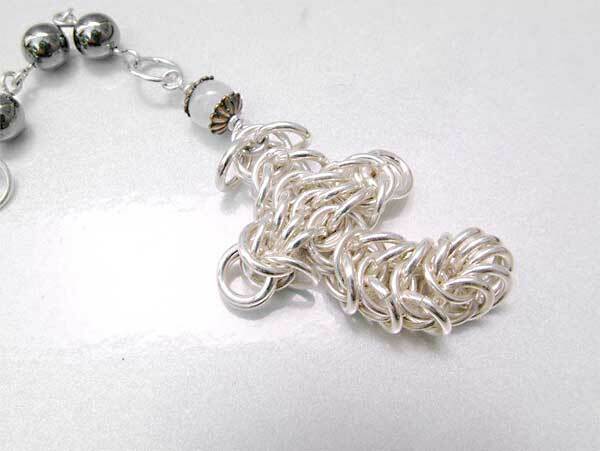 This ensures that there is minimal kink in the chain during use. However the link loops on each side of the Moonstone bead are closed, double-coiled loops. This is to add some security to the piece. The intervening ring between the Moonstone and the Hematite are closed jump rings. Added both for the look as well as for another layer of security.